Our mandate is to promote and enable greater access to all levels of education, with a focus on Latin America, the Caribbean and Canada. ACCESO International was founded by Christine Gervais in 1996. Inspired by her travels as a high school student, Christine founded ACCESO to address the disparity between her educational opportunities and those of students in economically disadvantaged countries in Latin America and the Caribbean. She is now joined by over 30 volunteers who share her vision of educational equality. 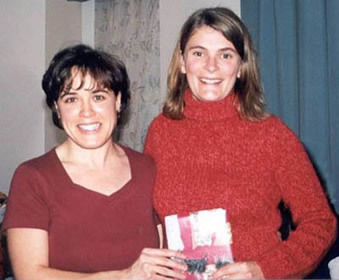 ACCESO International and its volunteers will forever be inspired by another young Canadian woman, Jill-Frances (JF) Norwood, one of the co-founding Directors, who passed away suddenly in a car accident in 2003 at the age of 28. JF was an optimistic and selfless humanitarian, and her example of charity and solidarity is a constant source of motivation for ACCESO’s members.